Kulasekara Mudiyanselage Dinesh Nuwan Kulasekara (Sinhalese: කුලසේකර මුදියන්සේලාගේ නුවන් කුලසේකර ; born 22 July 1982 in Nittambuwa) is a professional Sri Lankan cricketer. He was educated at the Bandaranayake College, Gampaha. A useful and effective medium pace bowler, who can swing the ball in first few overs, and also can bat in late overs, Kulasekara is regarded as one of the best swing bowlers in the world, who once ranked number one in the ODI bowlers rankings as well. In June 2016 he retired from Test cricket, due to major concern to play limited over cricket. Kulasekara made his One Day International debut against England at Dambulla on 18 November 2003. He took 2–19 as England were bowled out for 88, and Sri Lanka took less than 14 overs to win by 10 wickets. He made his Test cricket debut against New Zealand at Napier on 4 April 2005. He took only one wicket, and scored a duck, as the match was drawn. Kulasekara joined the Chennai Super Kings for a price of $100,000 to play for their team in the IPL 2011. 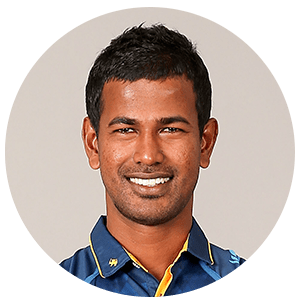 Kulasekara, who hustles in from a long run–up, has a lovely smooth action which helps him to hurl the ball at a lively pace, getting enough seam movement both ways to trouble the batsman. His skills lie in his ability to produce inswing, and he is well known for his moderate nature to the batsmen, seldom being overly aggressive. He gained attention to international scene in 2008, when he took 47 wickets, which propelled him to the top spot in the ICC ODI rankings for bowlers. The retirement of Chaminda Vaas and the inconsistency of Lasith Malinga proved to be a boon for Kulasekara, as he leapfrogged them, to emerge as the strike bowler of the Lankan side. He scored his first Test fifty against England in the 1st Test at Lord's in May 2006, batting out much of the fifth day to save the match. He was the No. 1 ranked ODI bowler for a few months in 2009, when he reached his highest ratings (727). He is currently ranked in sixth place of bowling both in the world ODI and T20I formats due to his ability to swing the ball both in and out. He picked up his first five-wicket haul in 3rd ODI against Australia at Brisbane on 18 January 2013, which was recorded as his best bowling figures 5/22 in ODI career. Kulasekara has the unbelievable record for the most economical spell in a T20I by any bowler as well as in a T20 world cup match(0.00) and the only bowler to record an economy of 0.00 in a T20I as well as in T20 world cup match.But,he managed to bowl only 2 overs without conceding even a single run where the opponents were bowled out for just 43. 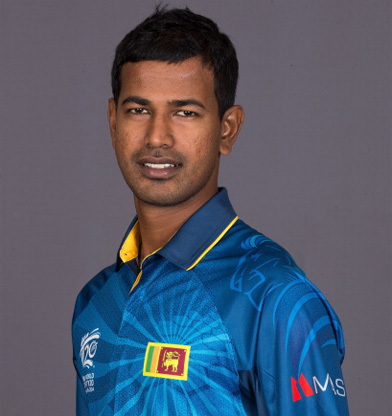 Nuwan Kulasekara has the world record for bowling the most number of maiden overs in his career in T20I history(6) and the only bowler to have bowled more than 5 maiden overs in his T20I career. Kulasekara has often played some late order cameos in the shorter format of the game and employs a daring approach with the willow at the crease. A sturdy batsman, he has proved to be quite a tough man to dislodge in the Test format. In ODI's, he is occasionally sent in as a pinch hitter for Sri Lanka, notably with a score of 58* in the 2013 ICC Champions Trophy to assist Kumar Sangakkara in beating England, in the second group game and a thrilling score of 74 against Australia for a close defeat. He has the record for the highest ODI score for Sri Lanka when batting at number 8 position (73). Kulasekara was detained by Kadawatha police on 19 September 2016, after being involved in a road accident. However, Kulasekara produced before the Mahara Magistrate and has been released on bail of five lakhs due to the death of a 28-year-old motorcycle rider from the accident. The accident occurred near the Kirillawella junction in Kadawatha in the afternoon, where the rider was coming opposite side to the Kulasekara's vehicle and has overtaken a bus and then crashed onto its bund, where he thrown onto patch of Kulasekara's vehicle. After the incident, of Kulasekara's father paid his condolences to the dead rider's family, where his mother then told that both Kulasekara and his son went to the same school. His mother also told that his son was very fond of sports and also a fan of Kulasekara. Before being arrest he also participated in the practice pitch opening ceremony of Colombo Hindu College on the same date in the morning. In this table Ct., refers to the Catches.